Yuan Meixia, 37 breeds the pest in her rural woodlands house in the province of Fujian in South east China. Doors of her house from inside have silk nets and every small crevice of this house is cemented so that these little critters do not escape. Yuan treats these 100,000 critters as her children. Yuan feed critters everyday at 6.p.m.by leaving apples, melons and bran left all around the house. The affection of this critters mother lasts until they are grown. Once they are grown Yuan treats them differently, she drowns the fully grown or matured cockroaches in water. Post that she leaves them outside to dry. 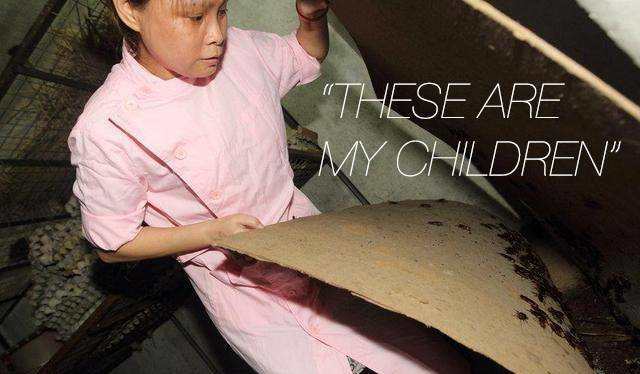 Yuan admitted to Southern Metropolis newspaper that more than loving these critters she breeds cockroaches to sell them to a pharmaceutical company. Dried insects and pests are used in traditional Chinese medicines. The money involved in harvesting critters is quite a fortune. It is 70 pounds per kilo.Yuan individually harvest 10 to 20 kilograms of dry insects, quite an income must say. Chinese medicines are effective because the combination of hot and cold is used in appropriate proportions as per the illness. Some of the facts also suggest that animals like tigers, seahorses, musk deer, bear and black rhinoceros are also used in various disorder and illness for instance fevers, convulsions, kidney disorders etc. I wonder what kind of medicines these traditional doctors would be giving to the vegetarian and vegan patients of theirs. As it sounds challenging for the doctors and moreover the patients who are hesitant to have these kinds of medicines.